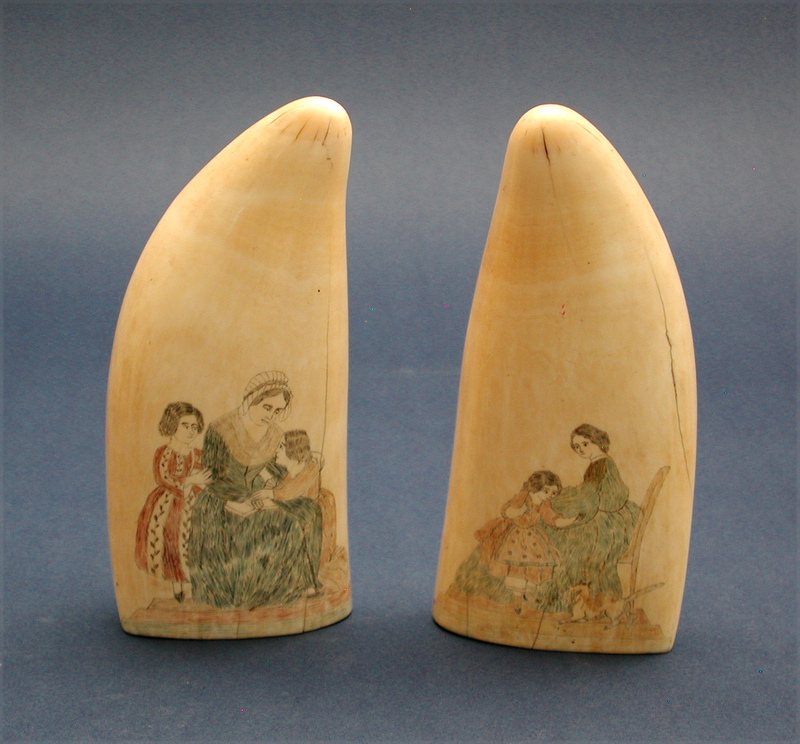 CHARMING PAIR OF 19TH CENTURY SCRIMSHAW TEETH. One tooth with a view of a seated mother nurturing her two young children. Other with the seated mother and her young daughter who is playing with a dog. Both scenes colored in red, blue and black. Condition excellent noting a few typical but completely sound age cracks. Mellow age color throughout. Very solid teeth that measure 6"h. x 2 5/8" w. Circa 1840.